Read More We all know the back story with Martin Smith, frontman for Delirious - one of the most successfully Christian bands ever to come out of the UK. Since the band went their separate ways, Martin has carved out a solo career for himself, traveling the world to lead people in worship with his infectious set of songs. 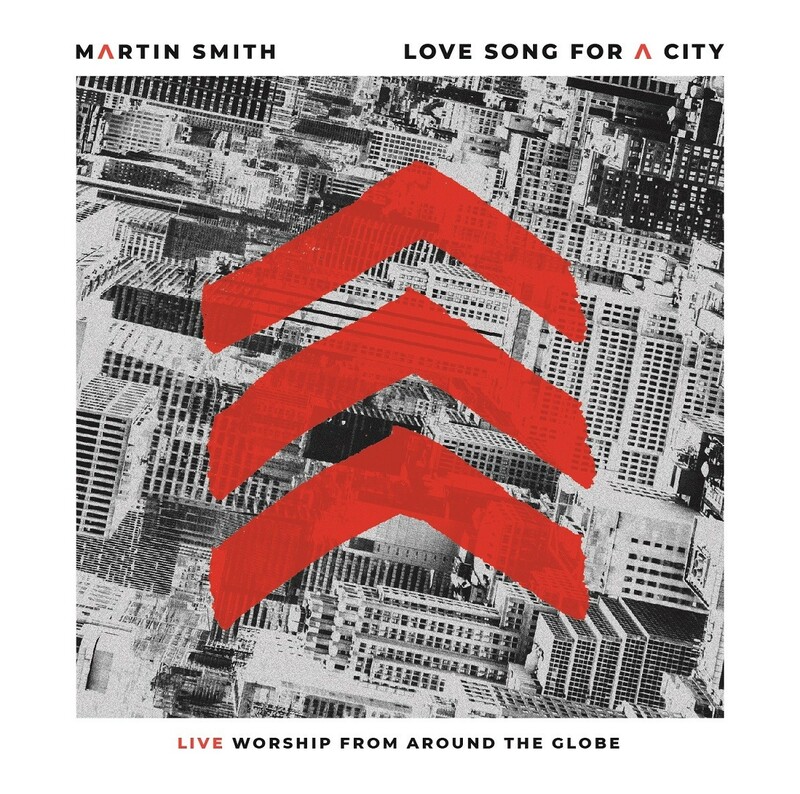 Now Martin has released Love Song For A City, his first solo live album, recorded on those global travels, with each track having been recorded in a different country, from Belgium and Holland, to Canada and the USA, Singapore and South Africa, to Brazil and Colombia, to name just a few. As the crowd cheer and the atmospheric intro music plays, Martin's unmistakable voice calls out the cry "Love song for a city". It quickly moves into second track 'Come Holy Spirit', with warbling guitar riffs, pounding beats, heavy distortion - it's slow and intense like the early days of Delirious when 'Obsession' used to enthrall crowds. 'Leap of Faith' instantly lifts the pace with a frenzied guitar opening, later as the songs catches its breath there is a spoken word section from a passion filled female, speaking with urgency before Martin returns to the mic and finishes with a flourish. If you've kept in touch with Martin Smith's solo work since Delirious ended, you'll certainly be familiar with the outstanding 'God's Great Dance Floor'. This live versions manages to raise the pulse more than ever, with its infectious riffs and singalong vocals - it's like a party taking place in your ears. "I feel alive, I come alive, I am alive on God's great dance floor!" Likewise 'Waiting Here For You' will be familiar to many, it's just such an incredibly powerful and moving song, and this recording is drenched in emotion. Just when you think it can't get any more stirring, Martin merges the end of the song into that classic Delirious worship ballad, 'Majesty'. Incredible. 'The Chains Falling' is more of a spontaneous time of worship, with just a few repeated words, before 'Song of Solomon' launches. This is another emotive track, a reflective prayer to God which leaves you with your eyes closed and your hands in the air in praise. 'Emmanuel' is one of my favourite of Martin's more recent songs - it's got that edgy pace, soaring vocals and of course stand-out guitars. 'Forever Yours' is upbeat and exciting with its frenzied guitar, before 'I Will Sing' brings the music back to the more reverent and prayerful. "I will sing through the sorrow, I will sing through the pain, I will sing until the morning, when Your mercy comes again." At nearly 9 minutes long, 'Jesus Only You' is the longest track on the album, and worth every second. Starting with female vocals and pulsing guitars, Martin then joins in, creating a beautiful contrast as this outpouring of worship rises to a crescendo. 'Veni, Sancte Spiritus' is a full 3 minutes of instrumental prayer, with its goosebump delivering distorted guitars. Finally 'Ecclesiastes' rounds off the album in a solemn nature, with another musical masterclass from Martin and his band as they accompany this highly charged worship anthem. Mid way through the covers come off, and they give it everything as the volume and tempo soar to new heights to continue their praise. This is a brilliantly captured live album, which really gets across the sense of atmosphere and emotion as the crowds worshiped God to these stunningly powerful songs. If you haven't seen Martin live recently, this album will certainly show you what you've missed out on. The songs themselves show that he still hasn't lost his knack of writing songs that crowds love to join in with.